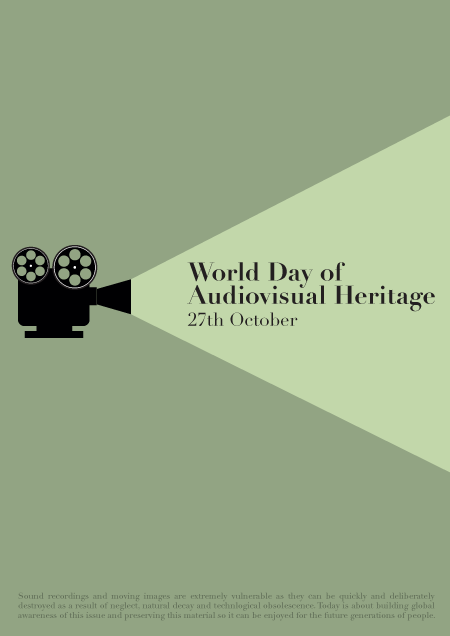 Happy World Day for Audio Visual Heritage 2016! Happy World Day for Audio Visual Heritage! The theme for 2016 – ‘It’s your story, don’t lose it!’ – conveys the urgency of audio visual preservation and the important role sound, film and video heritage performs in the construction of cultural identities and heritage. 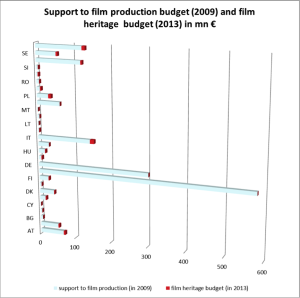 Great Bear make an important contribution to the preservation of audiovisual heritage. On one level we offer practical support to institutions and individuals by transferring recordings from old formats to new. The wider context of Great Bear’s work, however, is preservation: in our Bristol-based studio we maintain old technologies and keep ‘obsolete’ knowledge and skills alive. Our commitment to preservation happens every time we transfer a recording from one format to another. We work hard to make sure the ‘memory’ of old techniques remain active, and are always happy to share what we learn with the wider audiovisual archiving community. Viewing or listening to media in their original form, he suggests, will come to be seen as a ‘specialist archival experience,’ impossible to access without working machines. Through the maintenance of obsolete equipment the Great Bear studio offers a bridge to such diverse audio visual heritage experiences. These intangible cultural heritages, released through the playback of media theorist Wolfgang Ernst has called ‘Sonic Time Machines’, are part of our every day working lives. We rarely ponder their gravity because we remain focused on day to day work: transferring, repairing, collecting and preserving the rich patina of audio visual heritage sent in by our customers. Enjoy World Day for Audio Visual Heritage 2016!